Carriages leave in a flare of lamps with a rush. Of grapes and flowers, and rests from works of the hand. Fountains come with a rush through greenery, sweet. Mindful of time, calls out the counted hours. Over mountains, sadly, in glory, shining. When I first read Rilke, I thought his poetic voice was totally original. That was because I didn't know Holderlin. 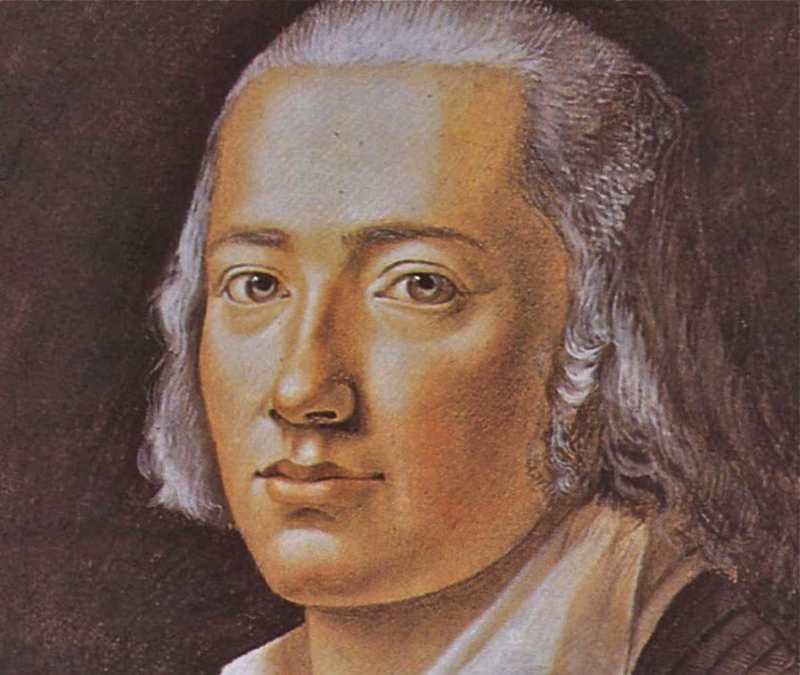 Now I see that Friedrich Holderlin (1770-1843) is one of the great European poets, as thrilling for the depth of his feeling as for the beauty of his imagery--and a visionary on whose work Rilke and other writers have built. Because he trained for the clergy, Holderlin learned Classical Greek, the language of the New Testament. He soon came to see Greek culture as the remedy for everything life-denying in the society of his day and developed that idea in a novel entitled Hyperion. Set against the backdrop of Greece's modern struggle for independence, it appeared in two volumes--one in 1797, the other two years later. Then, in poems like "Bread and Wine," Holderlin used the flowing meters of Classical Greek verse to create a voice of aspiration that he hoped would awaken and enlighten his readers. But Holderlin's time for the work he envisioned for himself was tragically brief. At 35 he suffered a mental breakdown and was hospitalized for six months the following year. 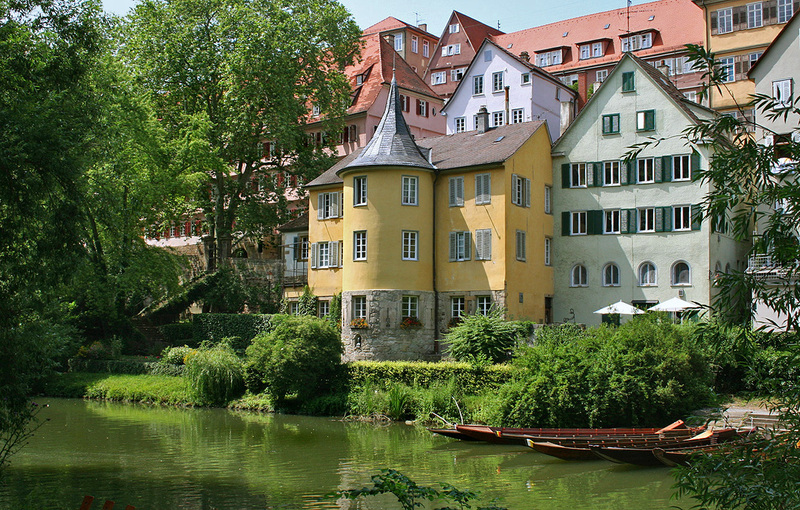 Believing he had just a short time to live, the hospital released him into the care of Ernst Zimmer, a carpenter who lived in Tubingen. Zimmer and his family gave the poet lodgings in a tower-shaped structure that adjoined their home along the River Neckar. Holderlin lived there for 36 years, receiving guests, as his writing slowly became better known; playing the piano an admirer had given him; and even writing occasionally, during brief periods of lucidity. During his own day, Holderlin was best known for Hyperion, not for his poems. The lines above are the only portion of "Bread and Wine" published during his lifetime; the other eight strophes did not appear until 1894. Twenty years later, Rilke's friend Norbert Hellingrath published a collection of Holderlin's verse that the poet read with great interest, and I believe Rilke must have had the long, sonorous lines of "Bread and Wine" and other Holderlin elegies in mind as he worked on the Duino Elegies from 1915 to 1922. The elegies are difficult to translate into English; their meters are unfamiliar to us and Holderlin deploys them with virtuosic skill. The best English translations I know are by British poet David Constantine, and I recommend them for anyone who wants to explore this unique and life-affirming poet. AUDIO: Bruno Ganz reads the first strophe of "Bread and Wine"